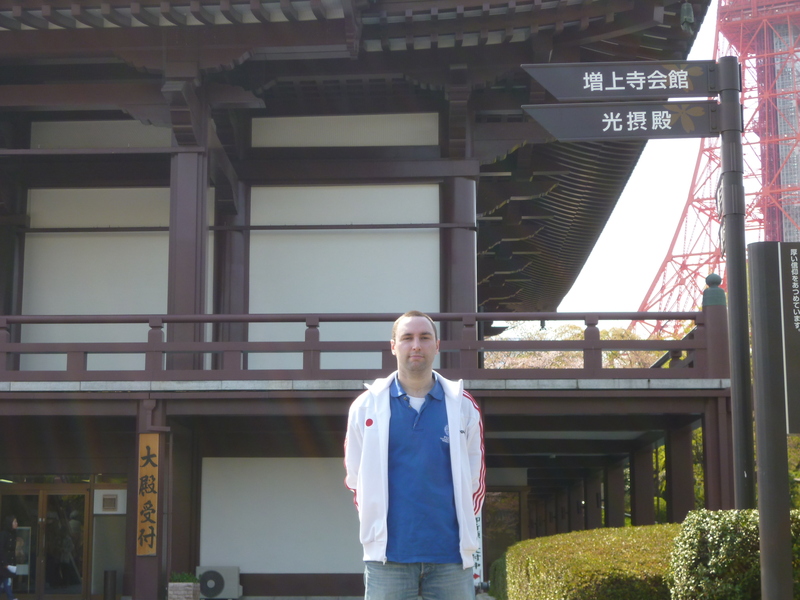 Cycling The Wolverine Tokyo Trail…In One Day! The idea of this cycling venture then was to ride the route (supposedly) taken in ‘The Wolverine‘ (2013) which tends to zig-zag its way across the capital without too much respect for distance and time. 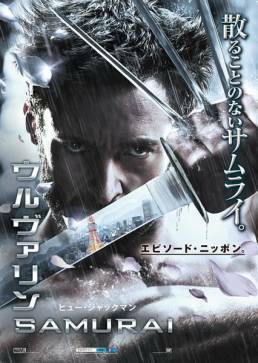 For Tokyo residents the geography in this sixth film of the X-Men franchise is quite bewildering at times as the film edit makes it seem like such a vast city is easily walkable when in reality the distance between places is quite far. In its defence, geography has rarely ever been a strong point in movies. What do those who criticise it really expect? A painstakingly long scene shot in real time?!! Of course Wolverine/Logan could have used public transport to get around but that doesn’t seem to exist in the X-Men universe! To follow in the footsteps of the Wolverine meant taking in seven places with one of them repeated and yes I really did go there twice. Themed cycling tours of Tokyo have taken a bit of a backseat in recent times on this site so it was nice to get back in the saddle for a few hours on a nice warm Spring day. The first Tokyo location appears 17 minutes in and thankfully it’s only a five minute ride away from the Tokyo Fox Global Operations Centre! 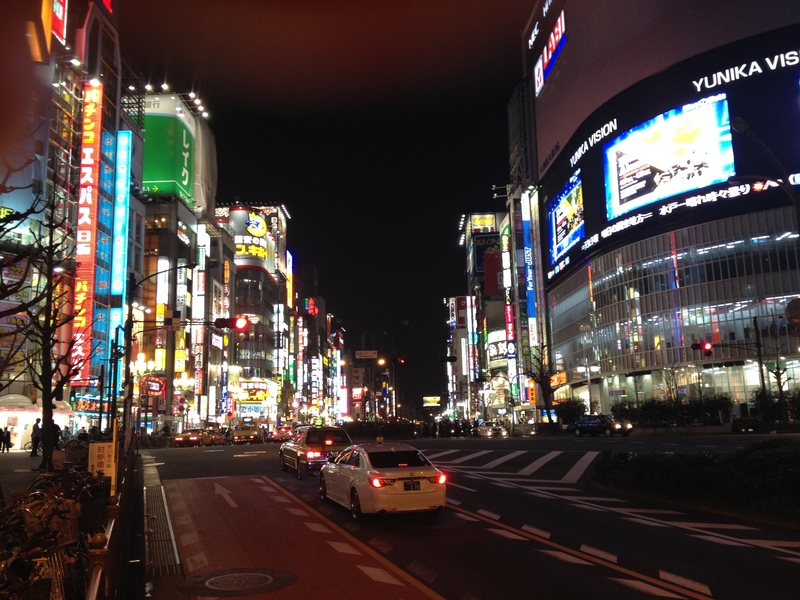 It’s the classic shot of Yasukuni dori in Shinjuku which has featured in so many movies and TV programmes over the years and I guess it’s become the classic shot (alongside Shibuya crossing) of the neon lights of Tokyo really hitting the foreigner visiting these shores. I get to travel under the same bridge half a dozen times a week so I probably take it for granted. The photo’s below show the screenshots, the ones taken on the day of this tour and a bonus couple taken only the night before to show how it looks at night. 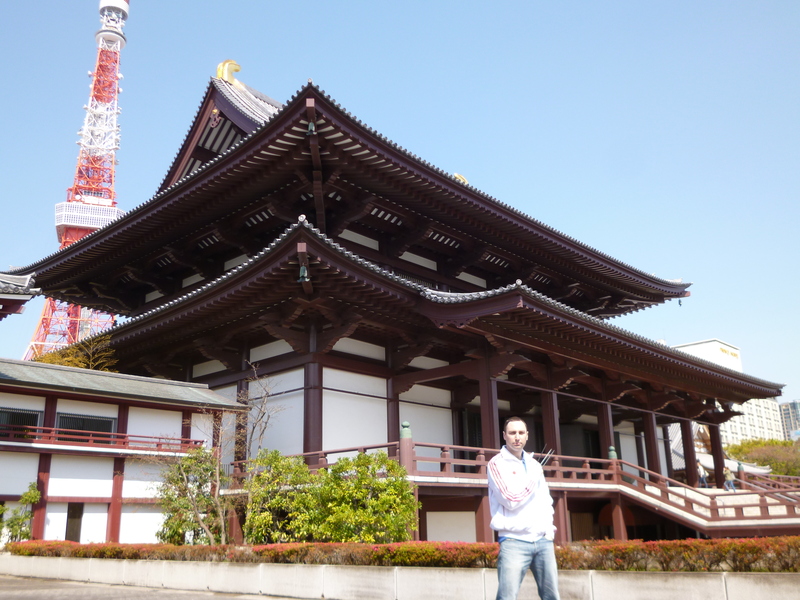 After that I cycled on to Zojoji temple (below) in the Shiba neighbourhood of Minato-ku which is about 8km away and a route I’ve taken a few times now not that stops me from ever doing it smoothly! 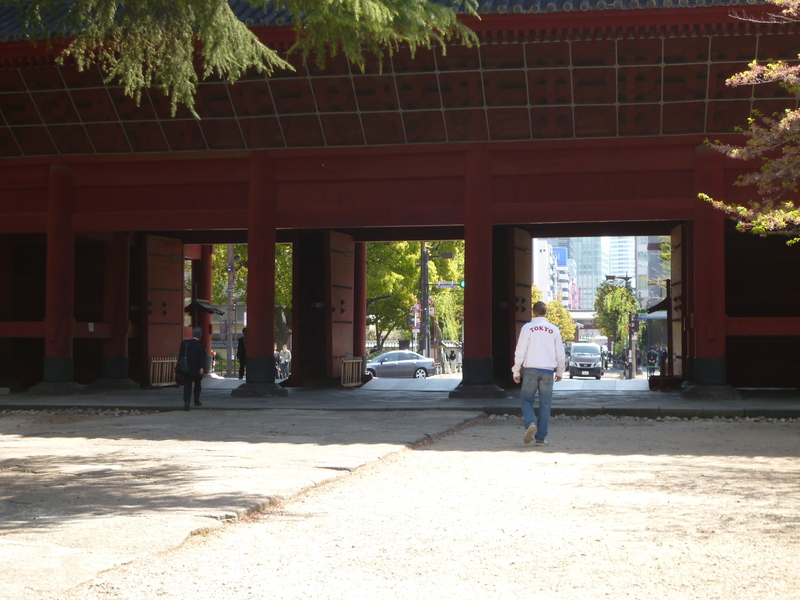 The funeral procession takes place at this temple on 29 minutes; locations which Tokyo Fox premiered back in April 2013 following the release of the trailer. However, not all the funeral scenes took place at Zojoji as pretty soon the action moves to the Chinese Garden of Friendship in Sydney which previously featured in ‘Priscilla Queen of the Desert‘ (1994). The real action scenes were filmed at this Australian location as the two places are blended together. 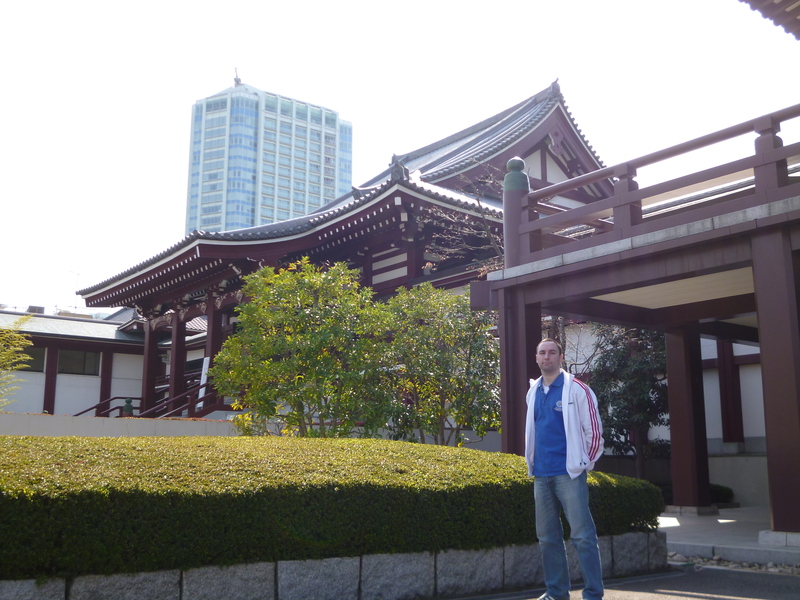 There are no ponds or water features at Zojoji so it’s the Sydney gardens which you see prominently around the 31 minute mark. Posing as the Wolverine with three chopsticks poking out from between my fingers was pretty embarrassing and they’re not even that visible in the pictures! Tokyo Tower does loom large over Zojoji temple and is in the background of a selection of the screenshots and my pictures. In ‘The Wolverine‘ though this tower seems to be prominent quite a lot whereas in reality it can hardly be seen at the best of times in Tokyo due to the many skyscrapers in the city. During the funeral at Zojoji, Yakuza gangsters attempt to kidnap Mariko but Logan helps her to escape which is done in reality is done in a very roundabout way taking in Darling Harbour (Sydney!) and Zojoji itself with a chase going on through the two-storied sanmon (below) which was originally built in 1605 and is a rare example of early Edo-period architecture in Tokyo. 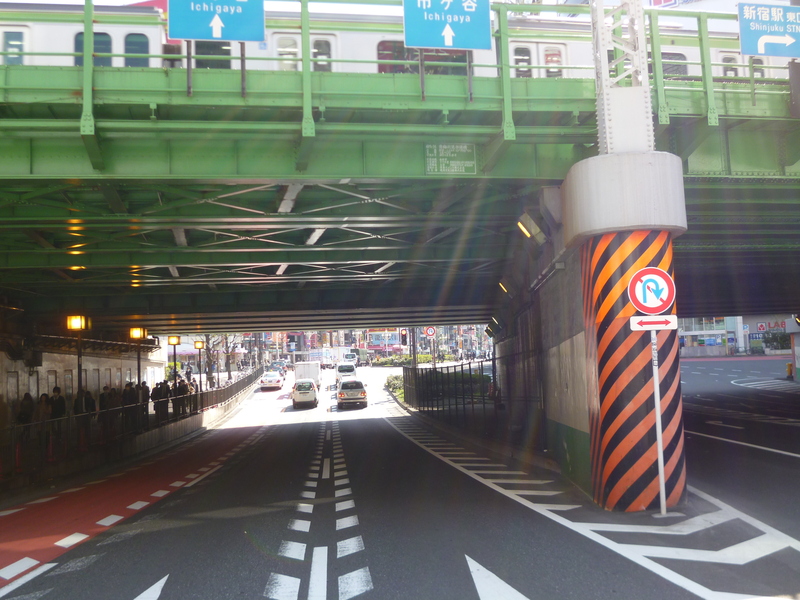 Within seconds the action is in Takadanobaba (below) which is about 10km away! 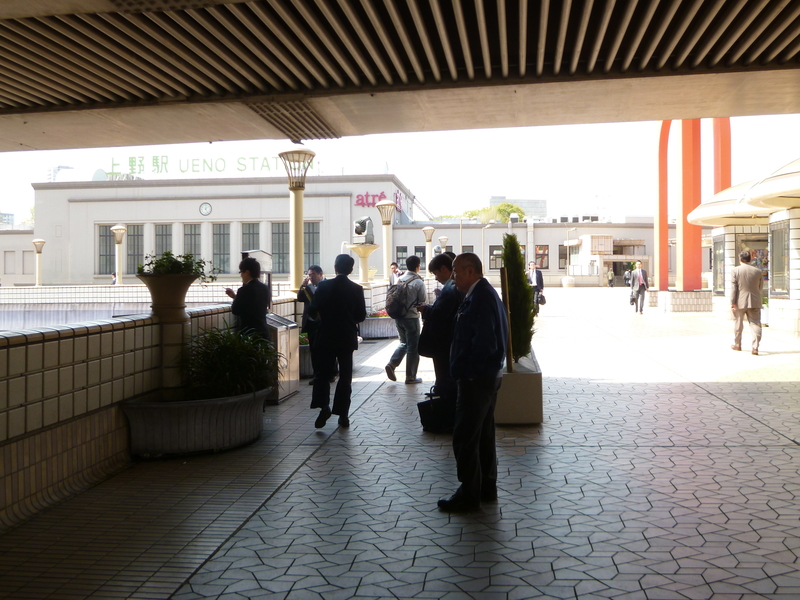 We only get to see the briefest of rooftop chases and arrow shots outside this station which also appeared in the Jackie Chan movie ‘The Shinjuku Incident‘ (2009). 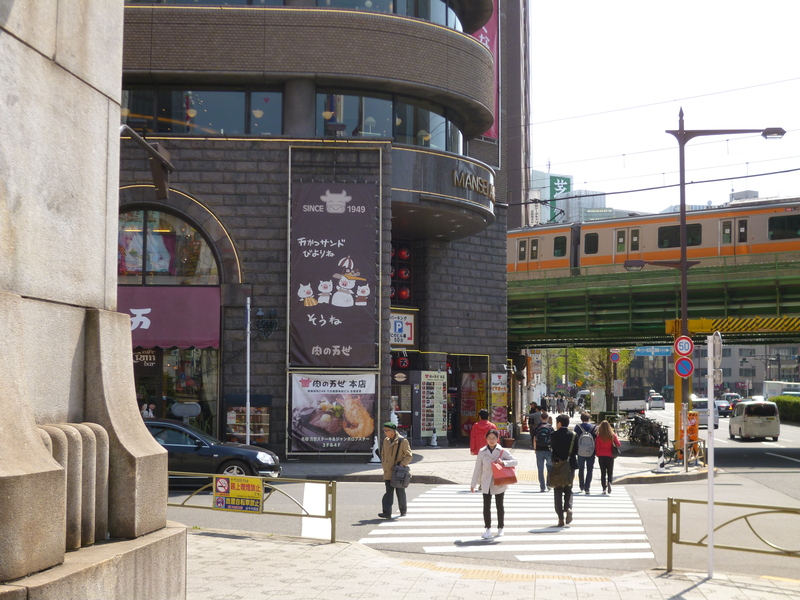 Takadanobaba is on the Yamanote, Tozai and Seibu Shinjuku lines. 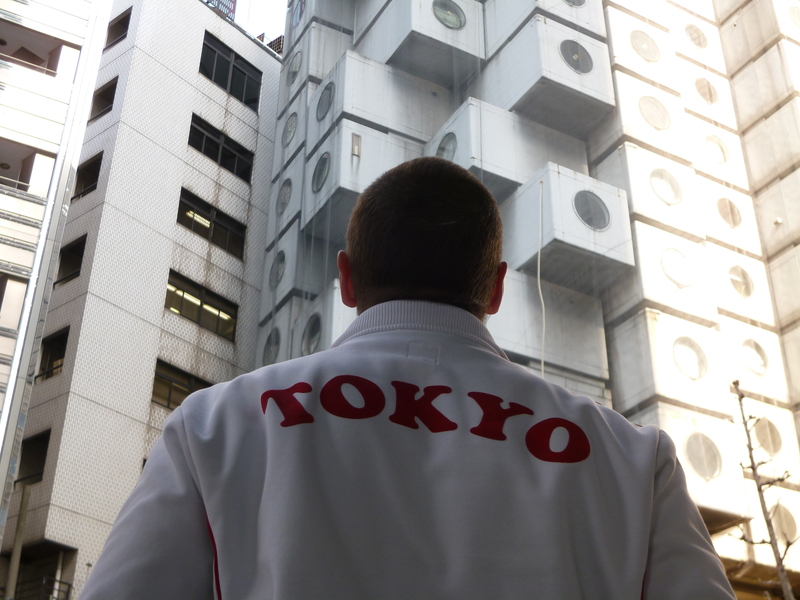 Sadly I was unable to get on the rooftop of an eikiawa to get an identical match to that seen on 37 minutes. 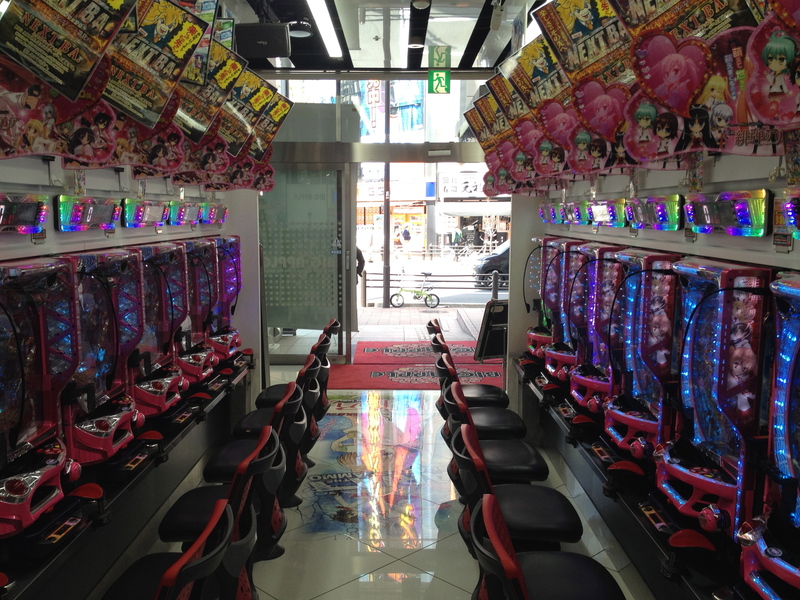 The action quickly moves on to Akihabara on 37 minutes where they take a brief respite in Big Apple Slot & Pachinko parlour (1-16-1 Soto-kanda) opposite Sega Gigo. Photography is forbidden in panchinko parlours but mobile phone camera’s always allow for a sneaky one! After exiting this place Logan and Mariko walk across the bridge over the Kanda River in the direction of Mansei Akihabara Youshoku (2-21-4F Kanda-Sudacho). If they had any sense they would’ve stopped for one of their famous delicious katsu-sando as I did on a previous themed cycling trip. 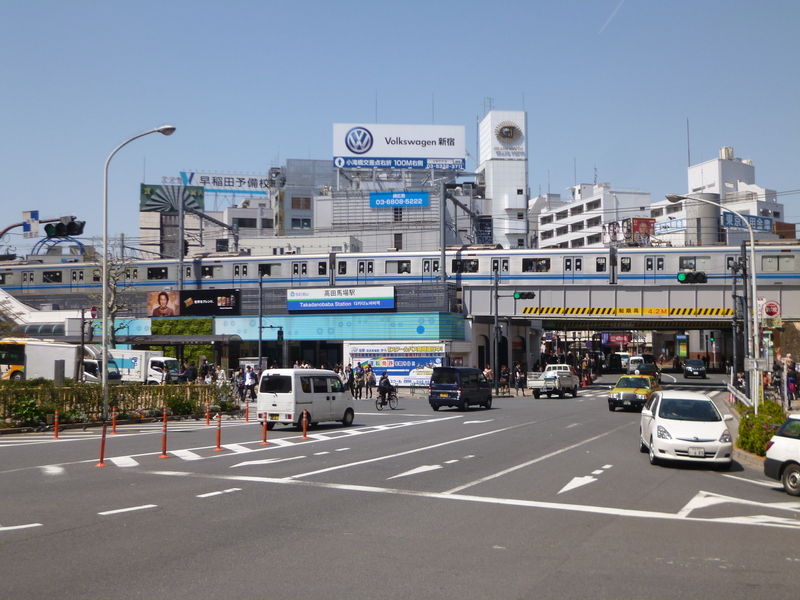 JR Ueno Station is the next location and this is easy and quick to get to as it’s just down the road from Akihabara. It appears after 38 minutes and is where Mariko and Logan take the Shinkansen (Bullet train) to “Nagasaki” even though these super-fast trains only go north from Ueno. If they had wanted to go south then they may as well have just gone a bit further south to Tokyo station which probably wouldn’t have been too much of a problem for them and no doubt they’d have ran or walked it! The station has many exits but its outside the Central exit on Jewellery Bridge where Mariko thanks Logan for saving her, says she’s fine (twice) meaning that she doesn’t need his help and then advises him to see a doctor before walking off to catch her train. 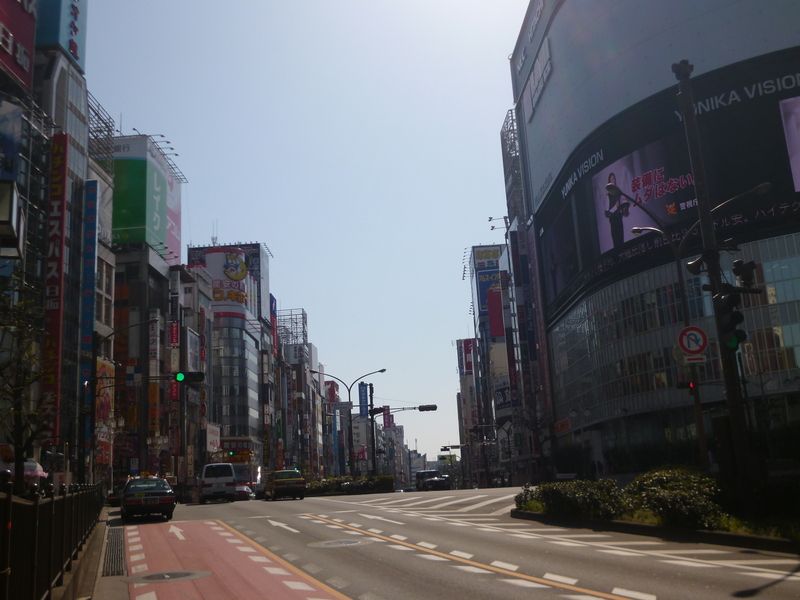 I then had to cycle back the way I’d just came and so passed through Akihabara again (as well as the subsequent stop in Ginza) as I returned to Zojoji temple for a second time. In the film it’s a brief return to the temple on 40 minutes as one of the baddies gives an impromptu interview to the waiting media and paparazzi. Yukio is still there and looks on at the interview before Mariko’s father asks her where her gaijin friend is. 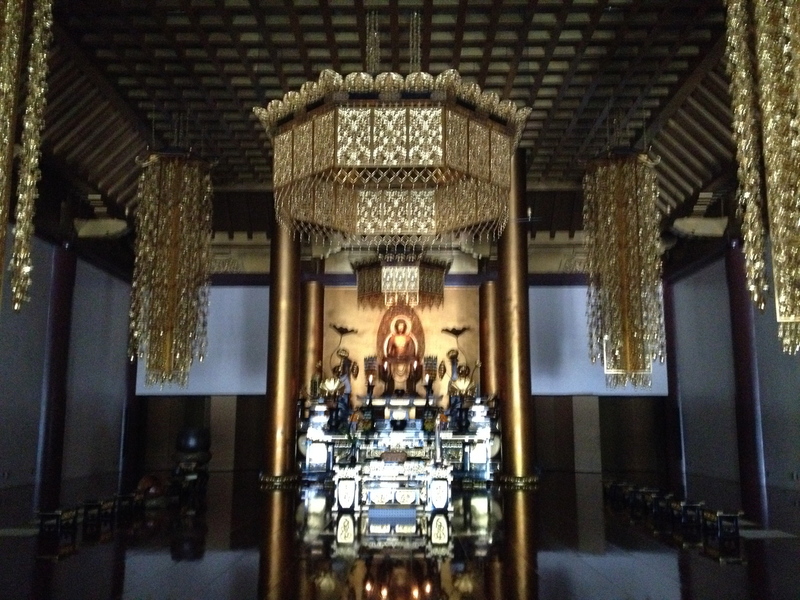 Quite a bit of set dressing was added by the production team when they were filming at this temple which explains why some of the match-ups may not be so easy to notice as being the same! 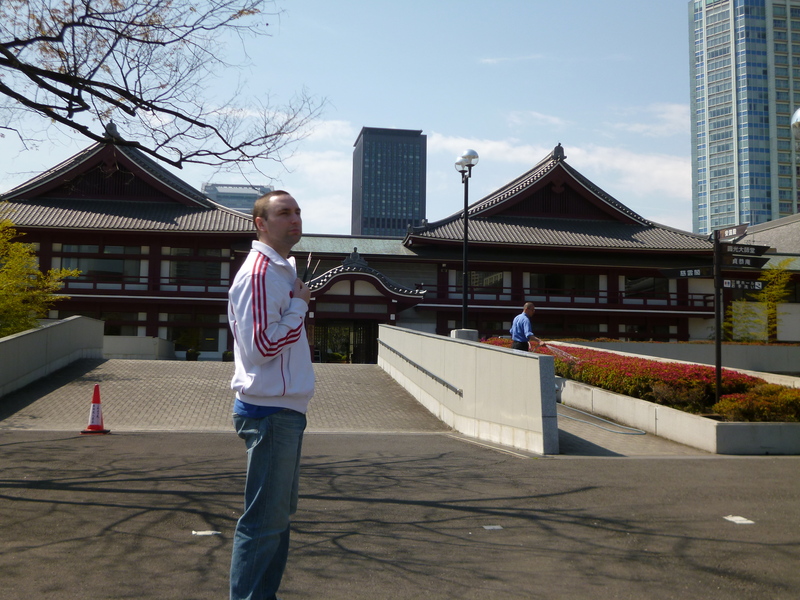 I was pretty much sick of the sight of this temple by the time I returned and I didn’t hang about for too long. Having been here only a week prior for the cherry blossoms I knew the angles I needed and was happy that the place was quite empty. 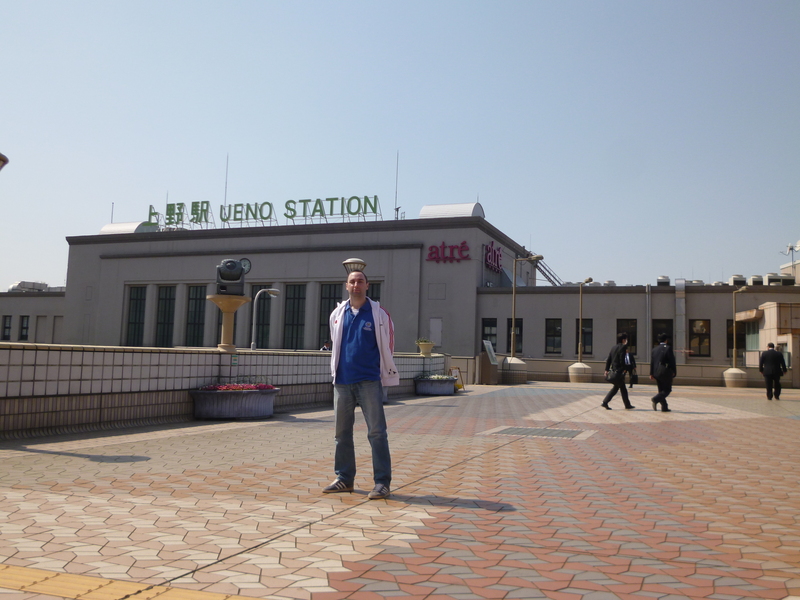 On 45 minutes Logan and Mariko disembark from the Shinkansen and are in Fukuyama for a few seconds before it switches back to Ginza where the Nakagin Capsule Tower (8-10-6 Ginza) appears as a love hotel which they check into. In reality this place is not a place for couples to get it on but is home to many unmarried salarymen wanting to stay in a small place. The interior of these tiny apartments could be seen in episode four of the BBC documentary ‘Journeys Into The Ring Of Fire‘ (2006). The building is a fine example of Tokyo modern architecture and was one of my favourite examples of architecture in this article from July 2012. I can only assume that digital wizardry was used for this scene as the road they are seen walking down is not the one that’s actually next to the building. IMDb says that this street was Brisbane Street, Surry Hills in Sydney! So that was it for my day of following in the footsteps of the Wolverine. I managed to avoid getting hit or wounded but the 53.59km ride did no favours for my left knee which I smashed a few days earlier. 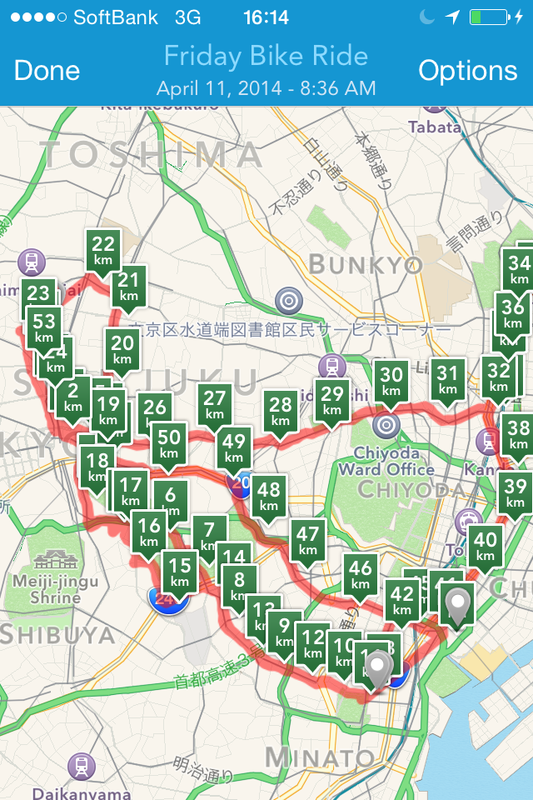 For the record I paused the Runkeeper app at each of the seven locations (yes, I really did go to Zojoji twice!) so my time of 3 hours 38 minutes, give or take a short stop here and there, is pure riding time. 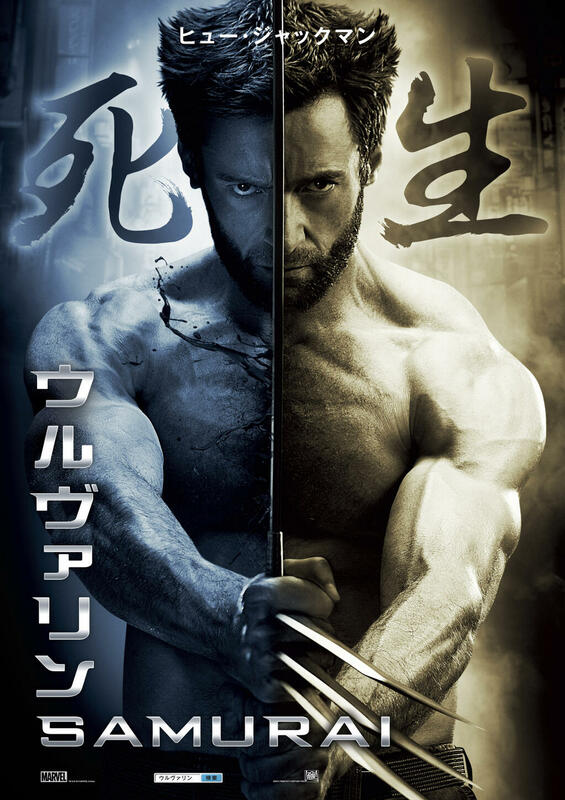 This entry was posted in Cycling, Japan Filming Locations, Movie Locations and tagged nakagin capsule tower, nakagin capsule tower address, the wolverine akihabara, the wolverine filming locations, the wolverine Ueno Station, themed cycling trips tokyo, where is the Wolverine temple?, zojoji temple. Bookmark the permalink. 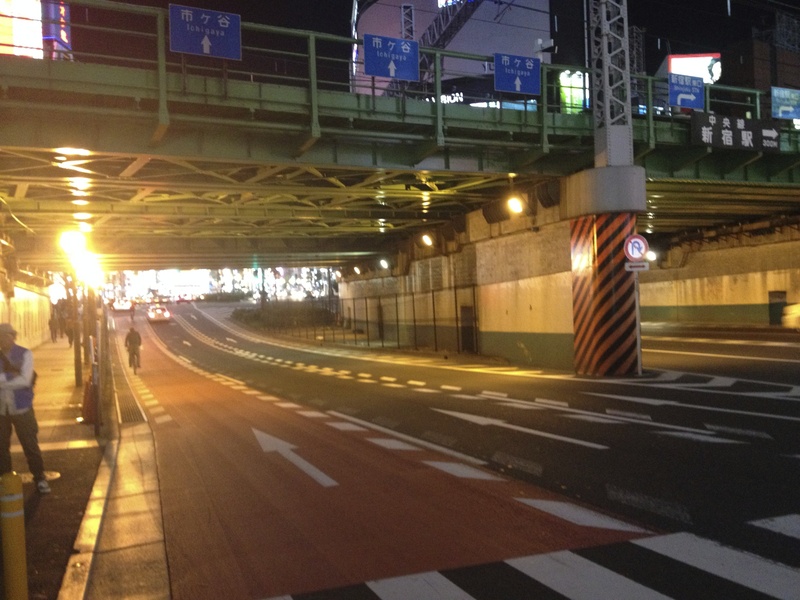 32 Responses to Cycling The Wolverine Tokyo Trail…In One Day!